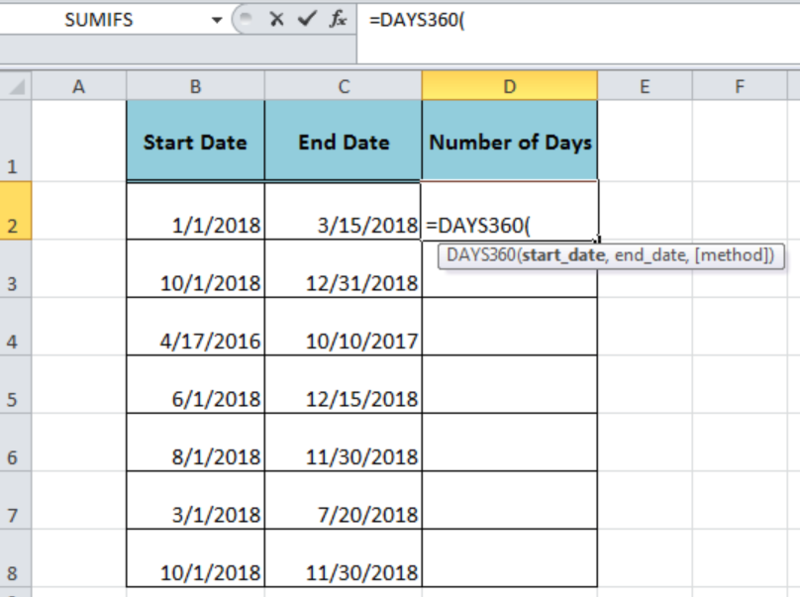 start_date and end_date arguments are used to calculate the difference between two dates as the number of days. Method argument is optional and used to choose the US or European method. TRUE is selected for European and FALSE for the US method. The default method is the US method if omitted. 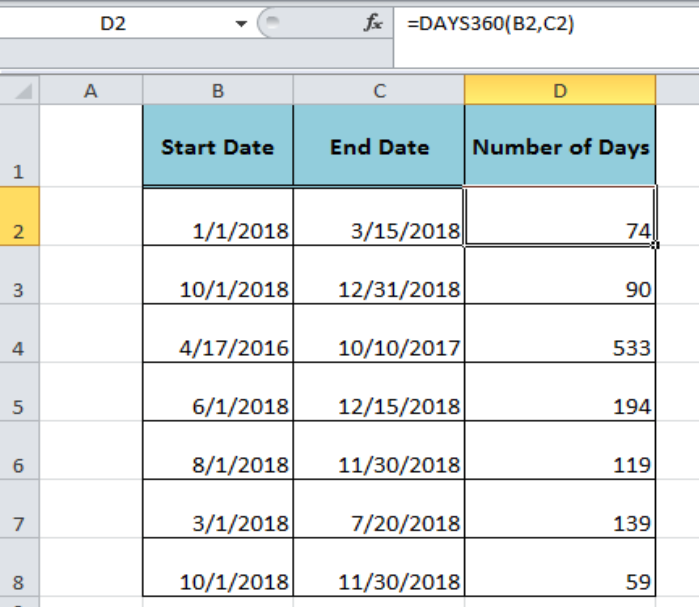 Copy this formula down to other cells in column D.
It returns the #NUM! error if the start_date or end_date is a numeric value but not a valid date value. 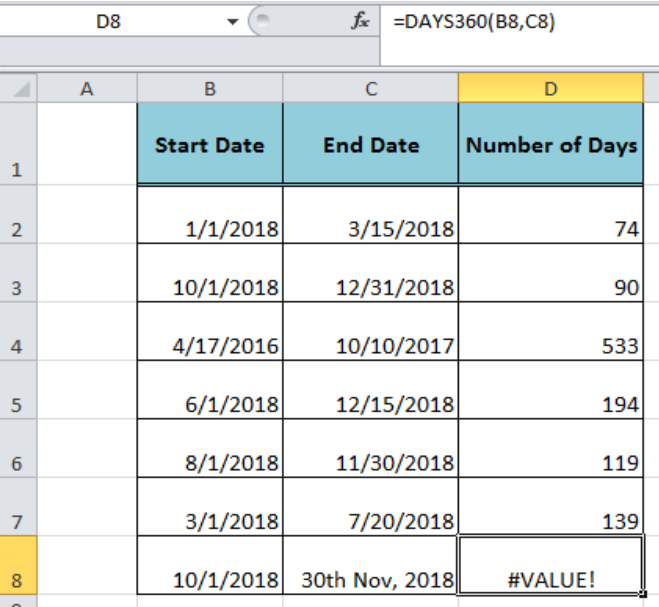 If we enter the start date or end date argument as a text value that cannot be represented as a date value then the function returns the #VALUE! error. I have a formula for one cell that has a solution. But, I have another function to be added to change the value of that cell. 1. One cell has a date 7/3/17 2. 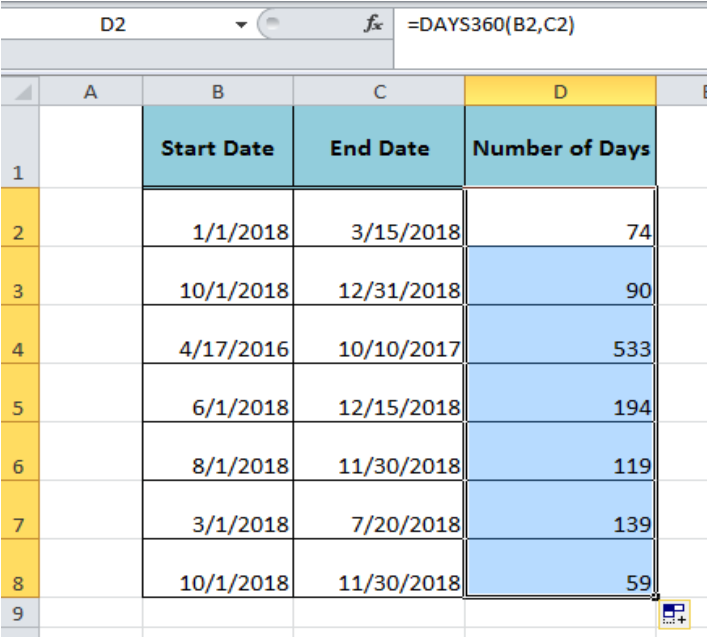 Another cell (with the formula): =IF(G134<>"",DAYS360(G134,TODAY(),),"") displays the number of days 66 which is attached to another cell displaying the monetary value. 3. I have another cell 7/6/17 and which that is displayed I need this to show the difference between that cell and the cell with the date of 7/3/17, to which I want it to show in the cell that has the 66 to now display 3 or the difference.